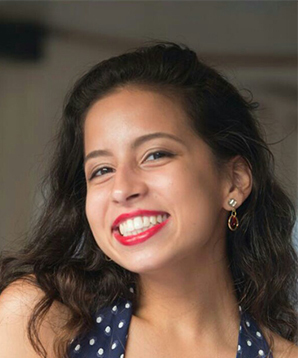 Aida Loggiodice ’17 (Venezuela) will pursue a Bachelor of Science in International Economics and Management at Bocconi University. She selected the excellent business school over University of Virginia, University of Edinburgh, University of Exeter, University of Surrey, and Tilburg University. Aida, who is bilingual in Spanish and English and speaks some French, German, and Italian, closed out three outstanding years at TASIS by scoring an impressive 37 points on her IB Diploma assessment, delivering a remarkable speech at her class’s Senior Banquet, receiving The Cynthia Whisenant Award for Excellence in English Literature, and earning The H. Miller Crist Award, the highest recognition accorded annually by the TASIS Faculty to the senior who best embodies or pursues the ideals, aspirations, and goals of the School. After surviving a grueling academic course load and a schedule packed with extracurricular activities—including taking on major roles in theater productions, serving as a Dorm Proctor for two years, captaining the Varsity Badminton team, being a student leader for both the Senior Humanities Program and the Understanding Ulgii (Teaching in Mongolia) Global Service Program group, choreographing and performing her own dances while also teaching ballet to Elementary School students, and drawing upon her love for art and service to start a business called Lula’s Shoes for her Capstone Project in the TASIS Leadership Academy—Aida feels well-prepared for the challenges of college.